Edge brought something to the table that no other superstar had. In retrospect, the evolution of his character was nothing short of staggering. He went from tag team pioneer to up and coming singles star to the most hated man in the industry to one of the most beloved superstars on the roster before eventually riding off into the sunset. He’s accomplished all there is to accomplish in the WWE and very few people can say that. Edge belongs to an elite group of superstars and his contribution to the WWE was nothing short of outstanding. If you weren’t aware, WWE paid off Edge’s college debt of $40,000 when signing him. It was very clear then that they viewed him as a long-term project and Edge exceeded their expectations and more. 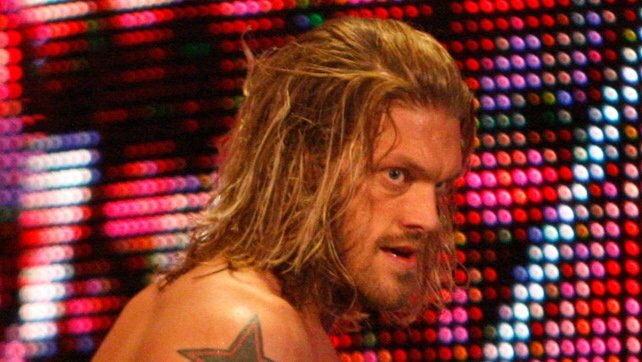 The peak of his heel run was one of the most memorable ones in history, with Edge getting heat like no other superstar. The best part of it all was how effortless he made it seem. He could even get his home country audience to turn on him with just two lines! Through the years and three different eras, Edge was a part of some of the greatest moments in WWE history and we take a look at his five greatest.